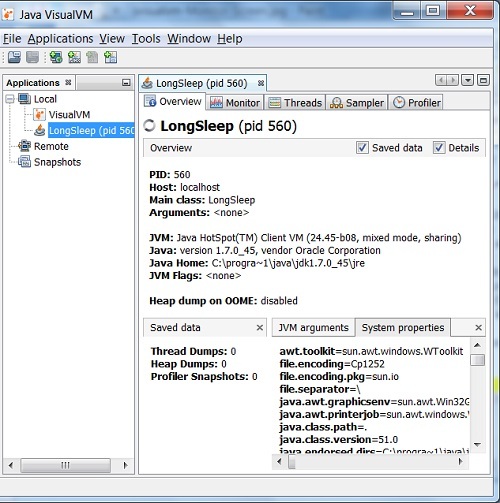 This section provides a tutorial example on how to start Java VisualVM and connect it to a JVM process running on the local machine. First, Let's run Java VisualVM and connect it to a JVM process running on the local machine. #- Copyright (c) 2015, HerongYang.com, All Rights Reserved. will reuse it for its own console output. Okay. We have successfully connected Java VisualVM to a JVM process running on the local machine.